Airframe Magnetic is the first Airframe that uses the power of magnets to conveniently keep your phone safely in view. Simply adhere the thin plate to the back of your phone, and the six rare-earth magnets hold it securely and safely. 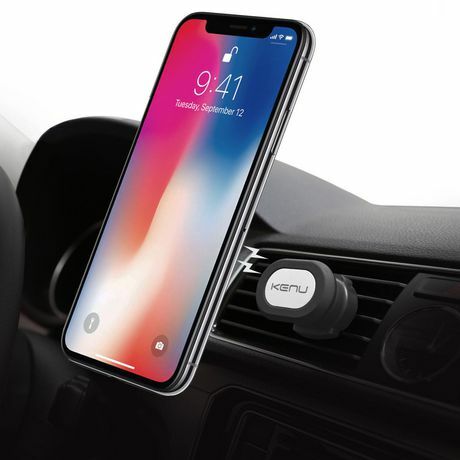 • SAFELY IN VIEW - Keep your smartphone in sight at eye level and ready for GPS directions, streaming music, and hands-free calls with this car phone mount. • UNIVERSAL DEVICE PLATE - The thin, low-profile mounting plates can be attached directly to the back of your phone or case, or underneath cases less than 3mm thick. They feature a strong, removable 3M adhesive to make this one of the most reliable car accessories. 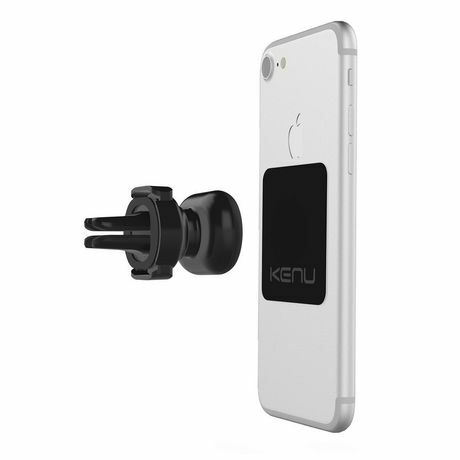 • POWERFUL MAGNETS - Our Android and iPhone car holder has six (6) powerful neodymium magnets hold your phone securely and are safe for phones. 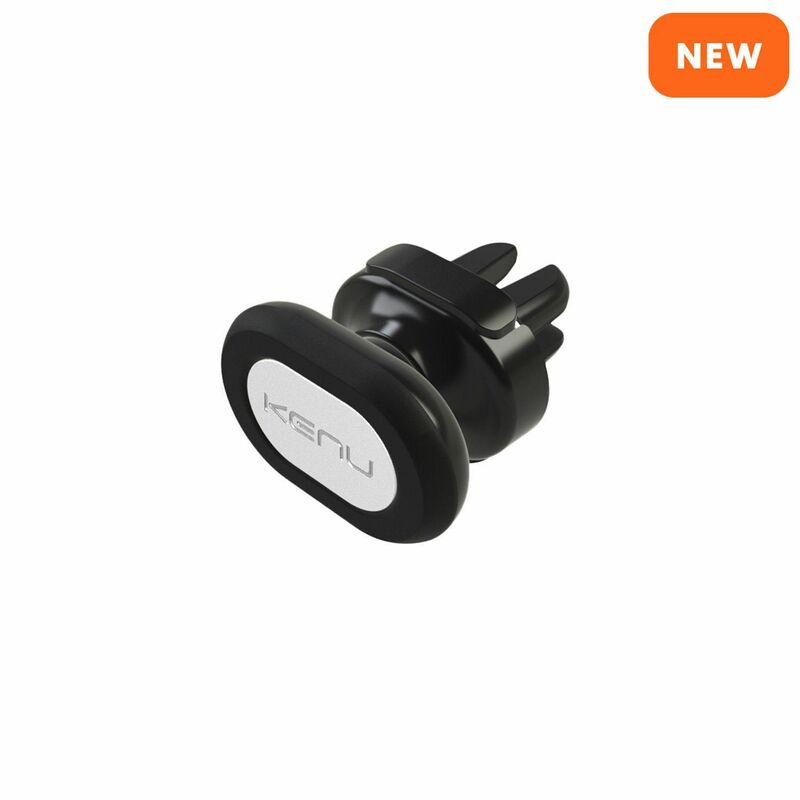 • PUSH-BUTTON VENT CLIP - The new spring-loaded vent car mount is super secure, safe for all car air vents, and attaches with push-button convenience. 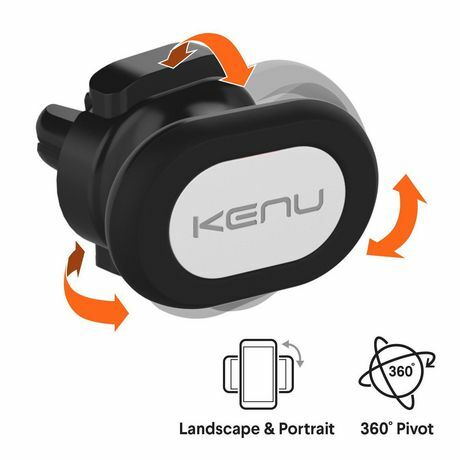 • 360° PIVOT - A remarkably smooth ball-and-socket on our magnetic car mount joint allows the phone to be positioned at any angle, keeping the screen safely in view.